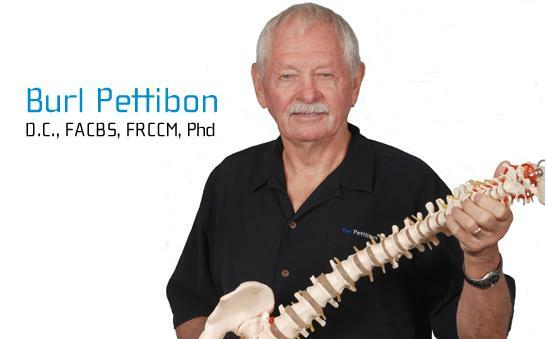 For a more in-depth and comprehensive approach to spinal correction, many chiropractors and chiropractic wellness centers utilize a revolutionary treatment called the Pettibon System which helps them to quickly and effectively help their patients while also imbuing them with the required knowledge to help themselves. This system was devised by Burl R. Pettibon in 1981 and is now a comprehensive rehabilitation program for the spine’s soft and hard tissues. Not everybody wants, or is ready for this type of specialized chiropractic care, which may involve up to 20 minutes a day of home care, but it’s documentable results are truly eye opening. It’s possible now to obtain a low back spinal improvement in just three to four week period with the help of this more intensive method. Through meticulous comparison and evaluation to thoroughly researched biomechanical norms, a truly global postural and spine strengthening care plan can now be tailor made for each and every patient. These personalized chiropractic programs are specifically designed to restore, as closely as possible, your spinal form and function. This ensures an amazing decrease in the related pain and symptoms, as well as much better ability to prevent disc, spine and nerve related issues. Chiropractors and practitioners of this form of chiropractic care view your spine as a closed kinetic system which is made up of soft and hard tissues. The soft tissues-discs, muscles, and ligaments-firmly hold the spine upright in its optimal position for efficient function relative to gravity, while moving it seamlessly through its expected range of motions. In the Pettibon System, the spinal correction has to involve the entire spine rather than just one vertebrae or segment. According to physiology, our nervous system sends our five righting reflexes continuously to skull. With sensory input it receives from these five righting reflexes, our nervous system and its organizing energy continuously organizes and re-organizes the posture and lower spine into displaced or aligned positions in order to keep the skull upright. For more information or to find a Pettibon System practitioner, visit this Berkeley chiropractor’s website to learn more. How Chiropractic Practitioners Apply This System? 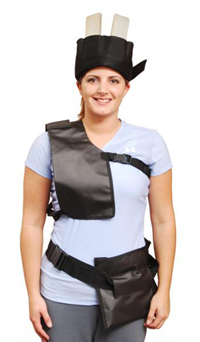 The Pettibon chiropractic system consists of specially designed shoulder, head, and hip weights that patient has to wear. The amount of the weights and their placement depends upon the final spinal displacement that needs to be corrected. Continuously wearing these weights corrects the pelvis center of mass and heads thoracic cage, causing certain righting reflexes to quickly send out the right sensory input for spine correction to the central nervous system. These weights also force weak postural muscles to continuously perform various isometric exercises, restoring muscle endurance, strength, and balance. This results in a much stronger body which is accustomed to holding its corrected posture with reduced irritation to nerves, discs, ligaments, muscles and joints. In order to perfectly balance the body to weights, the innate organizing energy of the nervous system causes some spinal muscles to contract and some to relax, thereby repositioning and correcting the posture and spine relative to gravity. In addition, the weights also compel the involved muscles to do some isometric exercises necessary to restore their endurance, balance, and strength.